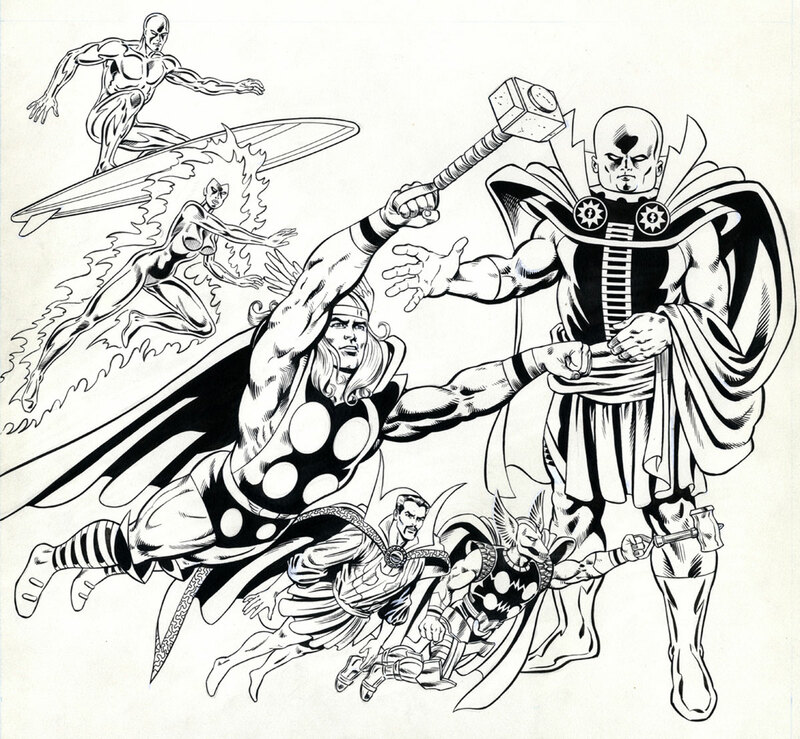 Part of a 3-game module series, this cover featured some of Marvel’s “Cosmic” heroes. The finished covers were done like cartoon cells. The line art was reproduced on acetate and painted on the back side with cell vinyl paint. Then the acetate was placed over an airbrushed, cosmic background scene.